We have been pushing through the heat and have most everything ready to get off this HOT dock. We are hoping that once we are anchored our boat will be cooler. When at anchor the wind is always sweeping down the boat and hopefully through our hatches. 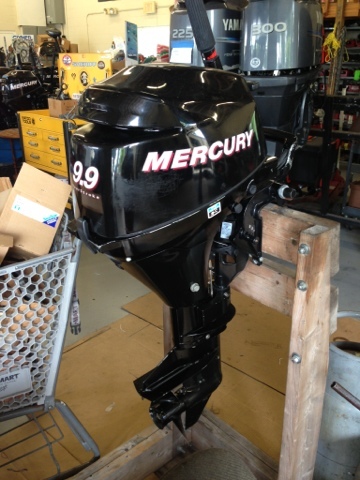 We found a used 9.9 outboard for our dingy. This gives us 3 outboards for our dingy until we can find someone to take the other 2 off our hands. We also found the best fishing store in Florida. We knew before we even went inside, because the owner was out front on the sidewalk catching some rays on an adirondack chair with his shirt off. He ended up giving us a great package deal for a lightweight pole, gaff hook, squid lures, swivels, and hooks. We would definitely go back to him if we needed anything else. Today was sewing day! 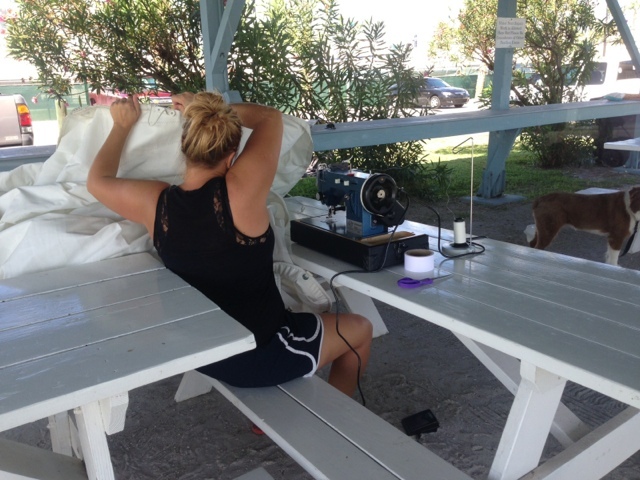 Thank you mom for putting me in sewing classes growing up, and for my AMAZING Sailrite sewing machine. We got both sails seamed up and put on the boat. 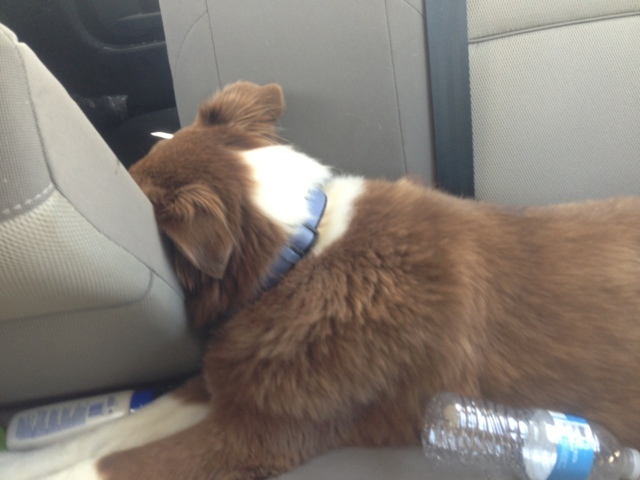 Lucy is tired of running errands. Your talents and creativity continue to amaze me. You two are a perfect pair. Regarding the breeze "hopefully through our hatches", you should check out the Breeze Booster. Monohulls can pull up wind scoops on halyards, but these self-standing ones are better for cats to funnel the breeze down below. Gets the Take Two seal of approval. We put permanent eyes in the deck for them.